I rarely go to the local Bibilotéca (library) which I regret. I would love it if they had free WiFI and a warm place for me and my laptop... it would become my second home. I also rarely go to debates or palestras as I have the listening concentration span of a two year old when people talk to me from a podium. But I was happy to go yesterday to the launch of a book by Helena de Sousa Freitas, one of our Setúbal bloggers group. Her book (in Portuguese) is a series of cases about Portuguese and international journalists who have been made to reveal their sources. The main story of the book is about Manso Preto, who was also there to tell it himself. Manso Preto was a stringer for the "Expresso" newspaper, working on a drug traffic investigation. He was covincted of contempt of court when he wouldn't reveal the name of his informant in a drug-dealing case, and was sentenced to eleven months in prison (and later acquitted in the appeal). I'm now looking forward to reading Chapter 8, which is related to journalism, blogs and the anonymity of sources. (Edited to correct the length of Manso Preto's sentence). Ten years ago I tried opening a company in Portugal with three friends. About two years into the process we gave up. We didn't have the time or the dedication to sit in any more queues for full mornings or afternoons, to be sent from one office to the other, all over Lisbon, fill out all the forms and god knows what else. Last week when I opened my company all that has changed. We now have "Empresanahora" which means you take one hour do all the formailities (tax, bank, social security etc) in one location. Then your company is ready to start. You use a predefined template for its legal constitution and have five days to open a bank account and fifteen to register with the tax office. As the name I chose wasn't on a predefined list it took another week as I waited to hear if the name was taken or not. But the whole process was smooth - even if you do have to treat all the people on the way like they are doing you a great favour! Yesterday I went to register the domain, only to discover that it had already been done automatically for me when I registered the company. Brilliant! Except for the page, eudaimonia.pt is now up and running. But now I live in a country where being late is a standard part of cultural practice, so my learning fits in. And no-one worries that I am always late for meetings or events. In fact, I notice that many of my friends are sticklers for time. My Portuguese ex-husband was always five minutes early - for everything. Like his father. And they were livid with people who were late. I am also reminded of cultural differences as I got mad with my son yesterday. He can sit and do nothing as people - women - do the domestic chores around him. He points out that none of his (male) friends do anything at home beyond the basics of personal hygiene as their mother/grandmother/aunt cook, wash up, clean, iron, make the bed for them. I say nothing, but get flashes of the 40+ year olds I know who are still in the same situation. On the other hand I also remember that I have an increasing number of Portuguese male friends who play a principle role in domestic matters as a matter of course. And a number of Portuguese women - mothers - who don't have a clue how to cook or to clean. "Whilst much attention has been paid to the solving of the technological problems and practical pedagogical challenges posed by this global project, issues of culture and identity in the online classroom remain under-theorised. In part, this is due to a prevailing model of the online social world as a 'global village', in which it is imagined that differences between people and groups get smoothed out over time. But it is also due to the influence of viewpoints, such as Geert Hofstede's, which associate culture primarily with national identity. From these perspectives the socialisation experiences of individual learners, or the enculturation processes of specific groups or institutions, are often hidden beneath the larger stories of virtuality or ethnicity." There is something that makes me squirm about grand narratives, of "the larger stories of virtuality or ethnicity" that attribute culture and identity to "the socialisation experiences of individual learners". I know I do it myself sometimes, but that doesn't stop me squirming. And it reminds me why I so appreciate the work of The New London Group (*) and Multiliteracies. They take a DESIGN approach to culture where culture is an ongoing process of reconstructing the meaning we get from the richness of the resources availabe to us. Culture is something which is hybrid, dynamic, open and constantly undergoing transformation. Hum .. I think I might be ready now to put in my chapter proposal. So my Son faltou (missed) uma visita de estudo (a study visit). It's not his fault, of course. It's the fault of his friend who didn't phone him to pass on the message from the teacher to say where the class were meeting. And why did the friend have to phone him up with this information? Because he, Son, missed that class when the teacher gave out this information, whereas his friend didn't. But it's alright, you see. This isn't the first visita de estudo he's missed, so he's now at the limit of faltas (negative mark for missing a class). This last falta means he will fail the year. In that case the teacher agrees that it's not really his fault and says that I should sign a piece of paper saying that he missed the study visit "for personal reasons". That way everything will be alright. But I don't want to sign a piece of paper saying he missed the study visit for personal reasons. Because he didn't. And if it wasn't his fault, then why is he getting a falta? If it was so crucial that he didn't miss any more study visits, you would think he would at least have made an effort to find out where the meeting place was. And, btw, why is he at the limit of his faltas? But that's me being Northern and British about it. I'm the same with my third year business students. Those students who never come to class because of one reason or another, and no they don't know what was on the programa, but I have to understand that this is the only disciplina they have em atraso, which makes it crucial that I pass them. Why do I have to make it so difficult for them? And back to S. Why don't I just accept that it was all someone else's fault and sign the piece of paper and get him out of it? Now he's going to fail the year and it will be all MY fault. I think this initiative is just great! And really forward thinking. The Lisbon Municiple Council have made it possible to access the Internet in twenty public spaces in Lisbon. For free. Here is a map of the Jardins Digitais where you can get it. Partners in the project are Broadnet Portugal, ZAPP and PT Wi-Fi. The Well-Intentioned. How sweet! You haven't mastered Portuguese grammar, therefore you don't know very much about other things either. The Corrector. As you were talking about the meaning of life you made a mistake in the language. Let me correct you. The English Speaker. You are a foreign speaker of Portuguese. Therefore I must speak to you in English. The Panic-er. Oh my god! There's a foreigner talking Portuguese. What do I do? The Sense-Maker. I look at all the contextual cues and relate to the sense I make of you. There are even things we could do together. O Conhecedor de Inglês. És uma inglesa. Tenho que falar inglês contigo. "The Panic-er" (que façilmente entra em panico). Meu deus! Há uma estrangeira a falar Portuugês. O que devo fazer? "The Corrector" (Aqule que corrige). Enquanto falas do signicadado da vida, tomam a liberdade de corrigir a tua gramatica. The Sense-maker (o mediador?). 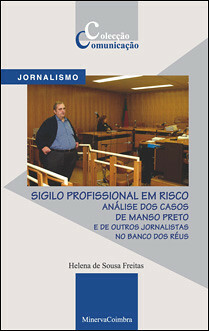 Procuro todos os traços contextuais e relaciono-os de forma a conseguir preceber-te. Até á coisas que nós podermos fazer conjunto.